Arizona opals are most commonly referred to as blue or fire opals. Though Arizona was once home to the leading opal industry in the United States, today opals are more often found in Nevada, California or Mexico. These areas are also where potential miners can find companies like Juniper Ridge Fire Opal Mine in Nevada that help tourists with recreational opal prospecting. 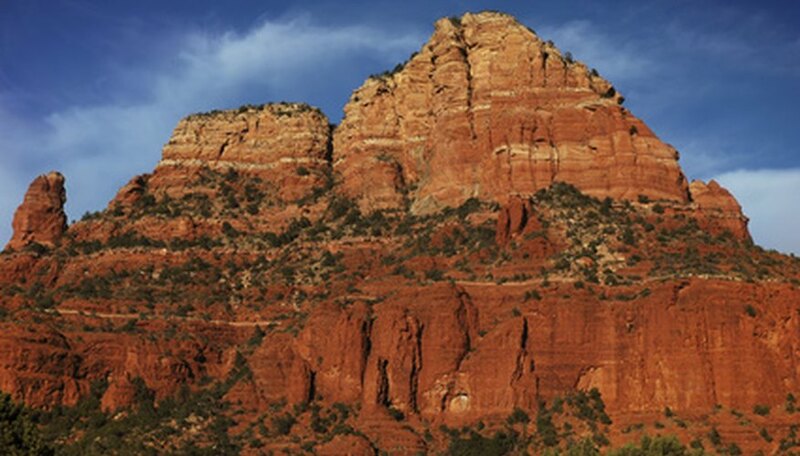 Arizona tourists can find several fee-based gold prospecting companies. With opals however, the best option is to choose an abandoned mine and prepare to have an adventure. Acquire a vehicle that can handle a wide variety of terrains. As much of Arizona’s mining area is unmaintained and even abandoned, the area you will be driving through will likely be wilderness. Opals are commonly found in hilly or rocky areas. This can be hard on cars. Four-wheel drive is recommended. Look at a map or list of Arizona mining shafts to plot your route. As Arizona is over-mined, making sure you have time to go to several different locations may help maximize efficiency. Identify a rocky area known for opal mining. Southern Arizona is most ideal. Blue opals have been found here in recent decades. Also, one of the most well-preserved old mines is located in southern Arizona at Martinez Canyon. Dig in a rock bank or in a stream using a pick, rack or trowel. Sift through dirt and rock until you see something out of the ordinary. Wash off the rock with a spray bottle, carefully separating it from the rest of the organic materials in your bucket. Polish the rock with a soft cloth. Arizona was over-mined during the late-18th century. While exploring these now-abandoned mine shafts can be a good historical experience, you are much more likely to find gold than opal. For opals, the best places in the United States to mine are Nevada and Oregon. Follow all mining rules and regulations. This includes rules for private and state and federal land. Some good practices include cleaning up and filling in the area after you are done mining and packing out everything you brought in. Also, be careful not to permanently disturb wildlife by cutting trees or breaking groundcover. Mining can be dangerous if not preformed carefully. For first-timers, it is usually a good idea to go to a fee company or hire a guide. Nikki Dodd began writing professionally in 2010. As an avid cook, traveler and online shopper with a journalism background, she has plenty of expertise to bring to her online articles. In 2006 Dodd received a Bachelor of Arts in creative writing and English with an emphasis in journalism from Linfield College, McMinnville, Ore.